Remove pet hair instantly from seats, carpet and your pet! Pets are a joy until they get inside your vehicle. Hair everywhere! Don’t let your pet’s hair come between you and your four-legged friend. Get the Rubber Pet Brush and remove pet hair with ease. 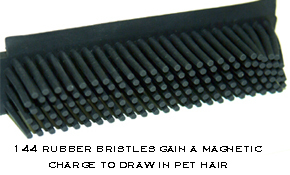 The brush has 144 rubber bristles that are attracted to pet hair. As you run the brush over the upholstery or carpet, the bristles gain a magnetic charge. This charge draws negatively charged pet hair into the brush where it stays until you remove it. Run the Rubber Pet Brush over your vehicle’s seats and carpet to remove hair instantly. Use it in your house to remove hair from furniture. You can even brush your pet to remove hair directly from the source! The bristles are like a massage to your pet. 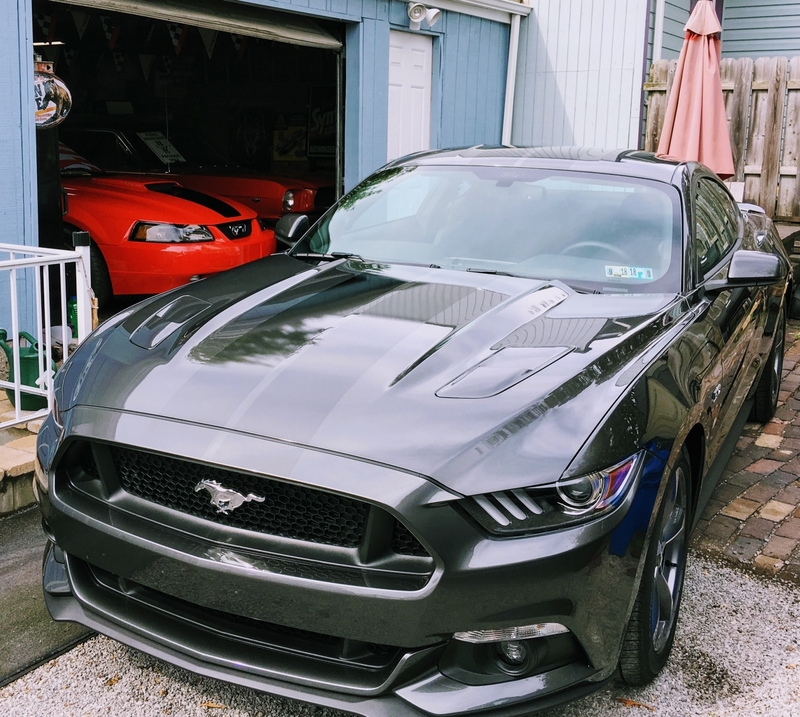 He or she will love it and you’ll have clean, hair-free vehicle and home. When the Rubber Pet Brush needs cleaning, just pull the hair out of the bristles. It will be one mass of hair so you can easily remove it and throw it away. The brush is made completely of rubber. It has what appears to be a squeegee on one side of the bristles. This edge is for sweeping hair into the bristles on smooth surfaces. The Rubber Pet Brush is 10 inches long by 1 ¼ inches wide. The bristles are 1 inch long. The brush fits easily into the glove compartment, door pockets, or back seat pockets. Keep one in the house in the laundry room or under the sink. If the brush ever needs washing, soap and water will do the trick. Allow it to air dry. You can’t stop your pet from shedding but you can clean up hair instantly with the Rubber Pet Brush. Go over the seat first with the Rubber Pet Brush. This will get all the obvious hairs. Then use the K-9 Upholstery & Carpet Mitt to catch any small hairs that didn’t stick to the rubber brush. This quick two-step system catches all the hair your pet leaves behind on carpet and upholstery. If hair isn’t the only thing your pet leaves in your vehicle, clean up with DP Carpet & Upholstery Cleaner. Eliminate lingering pet odors with Clean Air Everywhere. Autogeek’s Pet Page has dozens of items to make traveling with your pet more enjoyable. 10 x 1 ¼ inches. Used this on the moving blanket I use for my dog when riding in my car. After a weekend trip last week I used this brush and it easily removed the dog hair (Yellow Lab) from the blanket. Simply brush in one direction and no need to use pressure, just lightly drag along the surface. Nice tool for removing dog hair from carpet or other items. ProsGood quality brush Easily removes dog hair from carpet, upholstery or blankets Very nice size handle for brushing No need to use pressure, it works! There were a few choices for pet hair tools, but I chose this because it has the brush and the flat squeegee part. This makes pet hair removal soooo much easier. I have a hairy golden retriever that leaves a mess on the floor and seats. I'm interested to see how durable this brush is, but it seems well made and at <$10 it's well worth buying again if needed. It doesn't work miracles but it does more than your shop vac can do on its own. Its also pretty good at loosening up other caked in items like crackers or sticky crumbs that aren't stuck on like gum. Soon after the brush arrived I tried it out on a large throw rug that our dog spends a lot of time on and it picked up most if not all of the visible dog hair. It does take some work and repeated passes but for smaller areas, or confined areas, I can see that it is quicker and simpler than dragging out the vacuum sweeper. I had done that same rug some time ago with my large shop vac and in my opinion this brush was faster especially figuring the time it takes to bring in the cumbersome shop vac and then put it back in the garage. We live in a two story house and my wife tried it on the steps between floors. She was very happy with the results. Again it still takes work but it does do a nice job. Dog hair problem no more!!! If you have pets and a car that you care about you have got to have this brush itâ€™s amazing how well it works I have used everything from vacuums to duck tape and would curse my poor dog now that I have this brush he can ride anytime he wants in my car because I know that I can get the hair out without pulling my hair out!!! 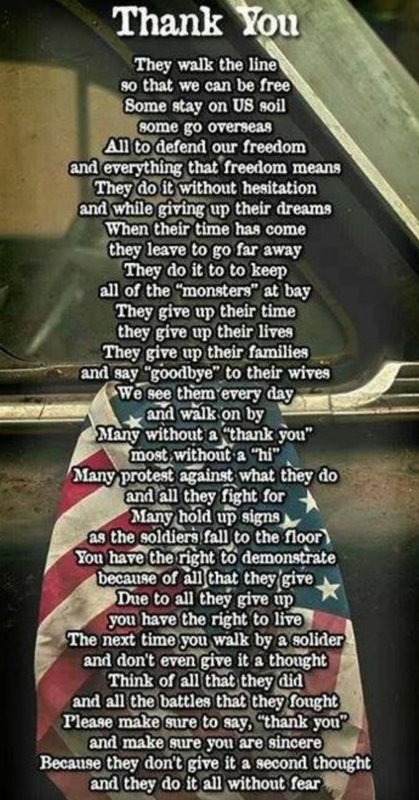 Very simple and effective. This brush saved me so much time on a jeep this afternoon that was caked up thick with German Shepard hair. Using a rubber glove helped some but this brush went to work to get it clean fast.